A skillful use of colour can bring an interior design to life but it is also one of the easiest interior design element to mess up. 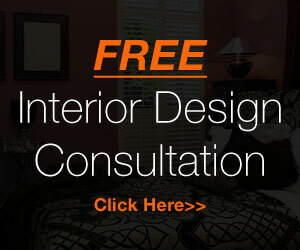 Creating your own interior design color scheme can be both exciting and challenging. Take a cue from the colour schemes that professionals use to spice up your home décor project. These terms are useful to take note of before embarking on an interior design colour scheme project. Colour scheme is a combination of colours that harmonise with each other. Hue is the name given to a specific colour. Examples of neutral hues are white, black and brown. Tints are colours with white added. Shades are colours with black added. On the colour wheel, warm colours are on the red/orange side of the wheel while cool colours are on the blue side of the color wheel - from pure violet, through to pure green. There are four main colour schemes that are used by professional designers. Monochromatic A monochromatic colour scheme can look very sophisticated and unified. This approach uses only one colour in various tints, shades or tones. In this type of scheme, various darker shades, grayer tones, and paler tints of the main colour can be included in the palette to create variation in the colour you choose. In addition, the one colour that you choose is often paired with white or another neutral to create a monochromatic effect. Complementary Arguably, the most exciting and dramatic type of interior design colour scheme is the complementary colour scheme. Complementary colours are colours which are the exact opposite in tint, tone or shade. The ubiquitous black and white, or violet and yellow are examples of complementary colours. A complementary colour scheme creates a harmonious balance and is a good way to bring attention to a room. Analogous This colour scheme is easy on the eyes. Analogous colour schemes use colours that are adjacent on the colour wheel and so have similar hues. For example, yellow-green is analogous. When using analogous colours, make one colour dominant to provide the focus. Use the other colours as accents. Triadic A triadic colour scheme uses three colours that are equal distance apart on the colour wheel, such as red, yellow and blue. It makes a unique colour combination, providing visual contrast while maintaining visual harmony. The triadic colour scheme does not provide as much contrast as a complementary colour scheme but allows for the richer use of colours. If you stick to these interior design basic colour scheme rules, you really can't go wrong!